This building initially housed the St. John Baptist Catholic Church, Newburgh’s first of the Catholic faith. Construction of the brick structure, including firing of the brick, was handled in great part by the church members. The cornerstone was laid by Rev. Henry Hug, O.S.B. on Friday after the third Sunday in September 1865. The Church was dedicated in July 1867 by the Very Rev. Martin Marty, O.S.B., Abbot of St. Meinrad Abbey, who was later consecrated Bishop of Sioux Falls, South Dakota. Reverend B. H. Kintrup served St. John 1867-1869. When completed, St. John Church measured 45×20 feet and provided seating for 125 worshippers. A white bell tower rose majestically above the roof. The parish at that time numbered around thirty families. In 1952, the church began an expansion program purchasing eleven acres on Frame Road. An 11-acre parish site was chosen on Frame Road and a new school was built there in 1954. A new convent was erected in 1956 and the completion of a new church followed in 1958, when the congregation official moved. In 1964, Marilyn and Kurt Kluger purchased the property to open the Newburgh Country Store. The original choir loft and steps remained intact, and many of the original stained glass windows were donated or sold to be used in area homes and businesses. 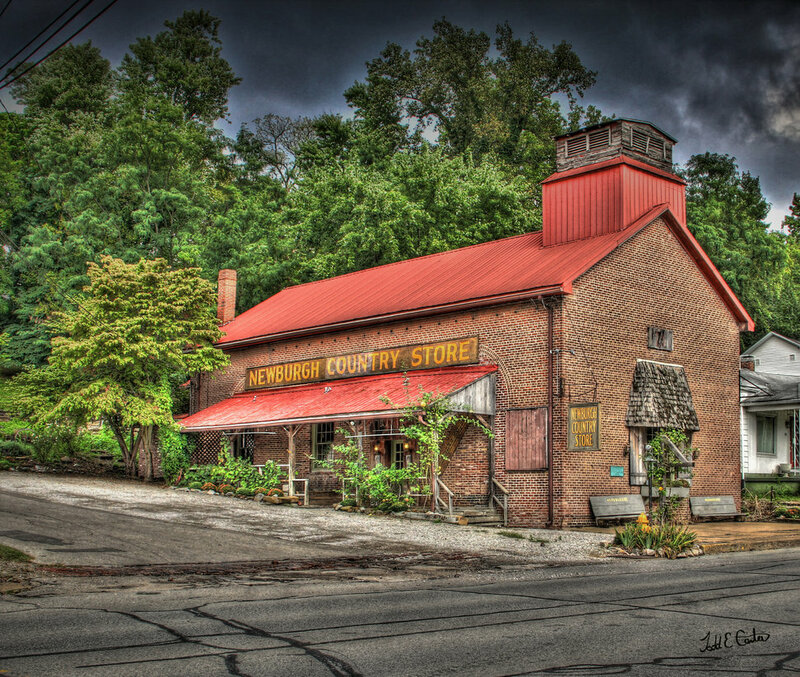 The Newburgh Country Store was well-known for its Herb Festival and Plant Sale. The original garden mart began in the Newburgh Country Store parking lot in April 1982 as the brainchild the Klugers. The event offered thousands of herbs, perennials, and annuals to the public for two spring months. In 2013 the Klugers closed their business. Young, Alissa. “New Blooms.” Evansville Living. March/April 2011. St. John Parish History (accessed January 21, 2014).